When we see the romance tag in anime recommendations, instantly character development comes into your mind. A good romance anime must develop its characters well to firstly, portray the immense feelings between the characters and secondly, to allow the viewers to understand what it’s going on and to empathize with the characters. That goes without saying that the selling point for romance animes are it's characters and many of them are still memorable to us. Poor Kuronuma Sawako is just a misunderstood girl at school. Her niceness and quiet demeanour is often misinterpreted as being awfully similar to the ghost character of hit horror movie, The Ring. Having the same long straight black hair of Sadako, the main antagonist is more than enough to send everyone running away in fear. Luckily for her, she happens to meet the popular Kazehaya Shouta. Will this be a new chapter in her life? 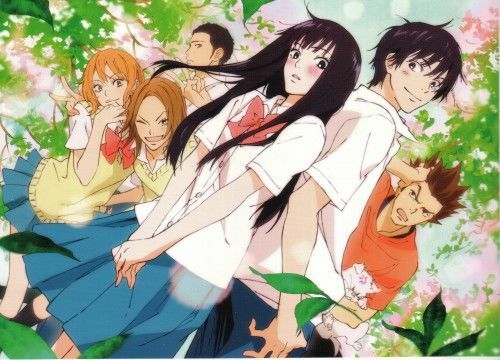 Kimi ni Todoke is actually a very simple but yet beautiful tale of school romance. Even though Sawako is isolated for most of her life, she maintains a sweet and innocent personality. It makes you happy to see her getting along with Kazehaya at school and in the classroom. This is a classic romance anime that is adapted from a hit manga and for good reasons too! Odd things are happening to members of the Cultural Research Club. Without any explanation, a supernatural occurrence caused all 5 members to switch bodies at random times. While it starts off as bewilderment, all 5 members will soon learn the deep dark secrets that each individual hold as they live through the personal lives of the body of the person they switched with. Can they accept the harsh reality and maintain their relationship as friends? Even more so, will some of them accept the feelings of the other party, especially if it was not meant to be known yet. 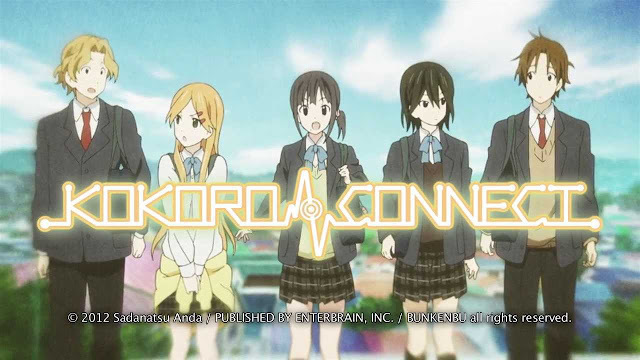 Kokoro Connect had an interesting premise. No longer will characters observe the world from their standpoint. As different aspects of their lives are modified and changed. They will have to live the lives of others both at school and at home. While many would presume that it is a strong intrusion of privacy, the show did great in portraying romance as different characters come to terms with the dark past and traits of their crush. Who though? We are not here to spoil any plot though! Life is not easy in Sakura Hall. All of the residents are quirky and weird. Kanda Sorata is a new resident of this dormitory and he already wants out. His friend, Aoyama Nanami recommends that he get out but joins soon after as well. The final individual to this rom-com is Shiina Mashiro, a gifted artist. She quickly forms a liking to Sorata. 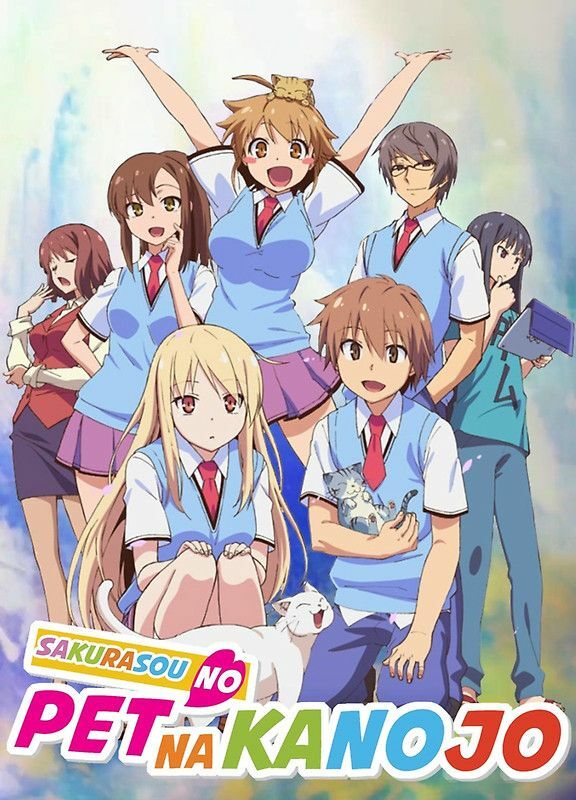 Her childlike ways earned her titular nickname - The Pet Girl of Sakurasou. Sakurasou juggles between friendship and romance. Bordering between the fine lines between these relations can be heart wrenching. 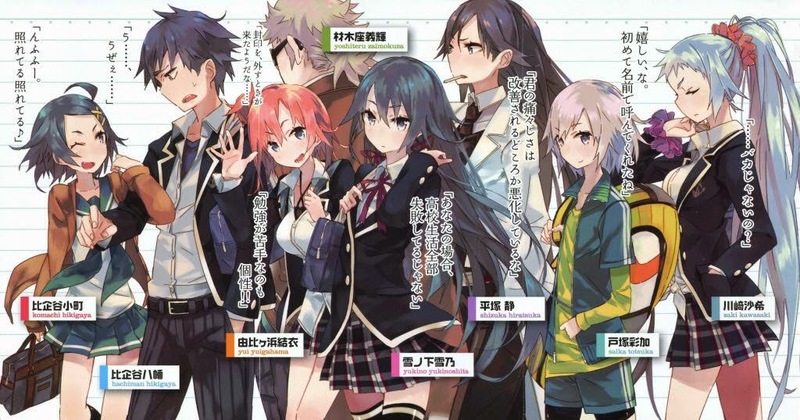 Who do you think will end up with Sorata in the end? The school friend, Nanami who received and gave support to Sorata throughout their school life or the new comer, Mashiro, who has innocent qualities and a childlike personality. Ryuuji Takasu was unfortunate enough to be born with sanpaku which made him appear fierce and even evil looking. However, he is a gentle soul at heart and even a germophobe. He long had a crush on his classmate Minori Kushieda. Next, is Aisaka Taiga. Miniscule in size, she has a crush on Ryuuji's best friend, Yusaku Kitamura. Due to circumstances, they will find themselves aiding each other to get the romance that they desire. Whatever will transpire next? 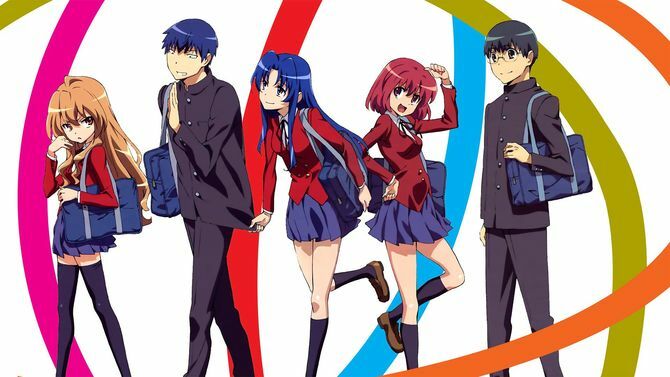 Whenever someone thinks of romance in a school setting, most would've heard of ToraDora. From start to beginning, you will always be immersed in the story and there will never be a moment where the story diverges away from its main theme. Truly a stunning masterpiece, it is a must watch for romance lovers. Piano prodigy Kōsei Arima dominated various music competitions and has become famous among child musicians but also controversial. After his mother, who was also his coldhearted, abusive instructor who forced him to play the piano emotionlessly, died, he had a mental breakdown while performing at a piano recital at the age of eleven. As a result, he is no longer able to hear the sound of his piano even though his hearing is perfectly fine. Two years later, Kōsei hasn't touched the piano and views the world in monochrome, without any flair or color, resigning himself to living out his life with his good friends, Tsubaki and Watari, until, one day, a girl changes everything. Kaori Miyazono, an audacious, free-spirited, fourteen-year-old violinist whose playing style reflects her manic personality, helps Kōsei return to the music world and shows that it should be free and mold-breaking unlike the structured and rigid style Kōsei was used to, and as she continues to uplift him, he quickly realizes that he loves her, though she already likes Watari. Kazama Kenji believes that he is a delinquent. That is until he was coerced into joining the Game Development Club where his behaviors turn out to be the most normal one amongst the group. As he tries to find reason within this chaotic clubroom, he only sinks deeper into the insanity of the club. No matter how hard he tries to escape, he is only pulled in further. Will he ever reclaim his normal, daily life? When you start taking your club activities so seriously that you are blowing things out or proportions, you would probably get D-frag. 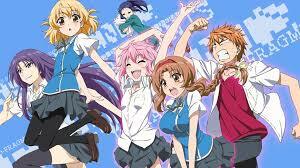 D-frag as mentioned is an anime about club activities and the close bonds that club members will have with each other. That would usually be the case for most slice of life animes. Not D-Frag however. 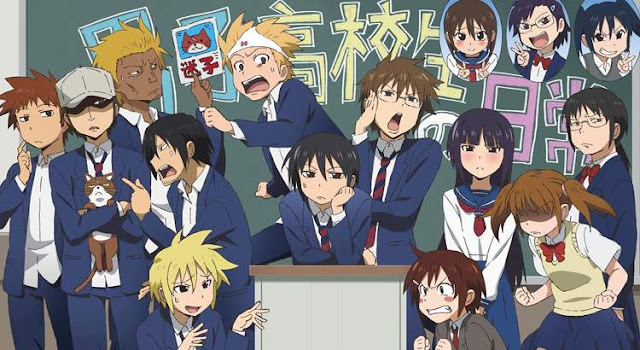 The whole premise of the anime is based upon ridiculous events that occurs during school and club activities. It is because of the nonsense and comical events that occurs in D-Frag that you wish that your very own school club could be as lively and interesting as this. Whether it's an RPG re-enactment or some insane anime events that occurs in Japan, the boys of Sanada North High has it all in their creative imaginations. When it's after school, they will find ways to pass time. Nobody ever says that the daily life must be boring, if it is, just think up of something fun to do. From bizarre experiments to just plain dumb actions, the days of these high school boys are certainly filled with humour. Come and join these boys in their daily high school lives! On a more gender specific anime, Danshi Koukousei really depicts the actions of high school boys to an on point level. As much as we would very much like to deny it, we more or less did the same acts as in the anime at some point of our high school lives. Danshi Koukousei is basically the high school lives of most boys but in anime form. The biggest selling point of Danshi Koukousei would be its trait to identify the behavior of high school boys and exaggerate it just a little for it to be overly humorous. If you don't believe us, do check it out and see for yourself, and for the female audiences, please don't judge us too much. Gouda Takeo is not an average high school student. Extremely tall and muscular, he is often mistaken as being way older than his age. On a train one day, he rescues Yamato Rinko from a groper. 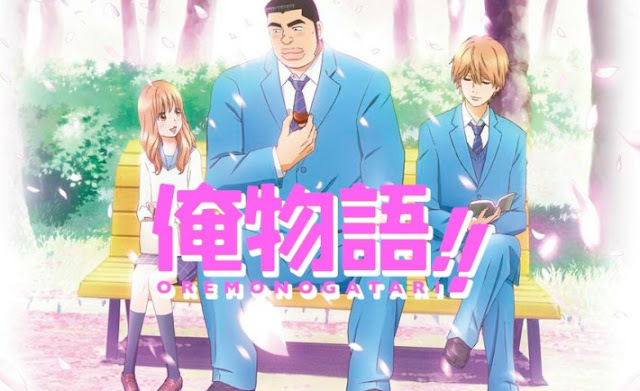 Whilst showing her gratitude to Takeo, he mistakenly thought that she had fallen for his best friend Makoto Sunakwa due to her side glances at him and tries his best to match make them even though Rinko really did have affection for him. Secretly though, he has romantic interests for her. It wasn’t long before they are able to confess to each other therefore starting one of the sweetest and cutest relationship ever. This is a high school romance anime focused on the two of them developing their relationship. Upon returning home, Raku learns that the Shuei-Gumi and Beehive gangs have agreed to settle their feud by pairing their leaders' children. Raku learns that his girlfriend-to-be is none other than Chitoge. For the next three years, they must pretend to be in a relationship to maintain peace between the gangs. 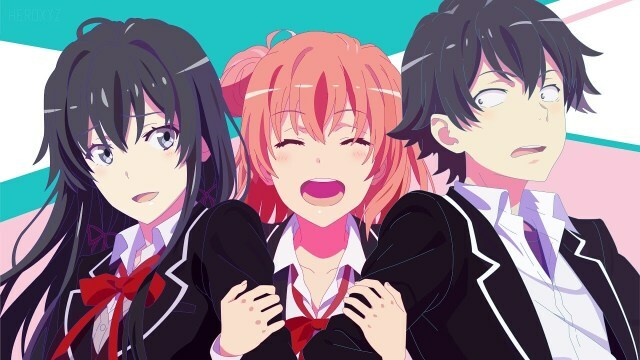 This turns out to be quite a challenging task, not only because of their hatred for one another, but also because Raku has a crush on another schoolmate, Kosaki Onodera, whom he secretly wishes was the girl who bears the key to his locket. Various developments complicate the situation, including Chitoge's over-protective bodyguard, a female hitman, a girl who claims to be Raku's fiancée, and the existence of multiple keys. Yui Kanakura, the newly appointed head of the Char Siu Mafia and Raku's childhood friend, also joins in as a fiancee with yet another key to the locket. After numerous adventures with the girls, Raku realizes he has fallen for both Chitoge and Kosaki. When Chitoge learns that Raku and Kosaki have liked each other since they were in middle school, she tries to support their relationship by leaving Japan. This prompts Raku and the others to look for her. They discover more about the book that tells the story of the keys, and recall more of what actually happened ten years ago. 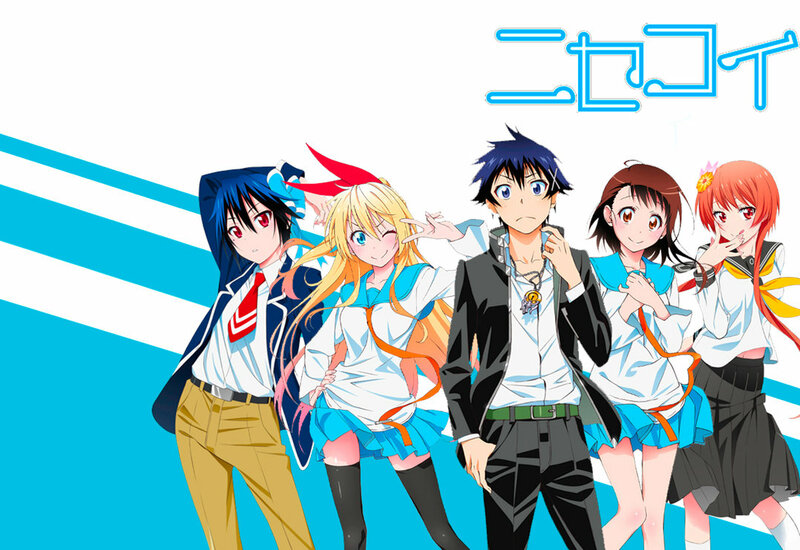 Although it is revealed that Kosaki was the girl Raku had made the promise to marry, Raku realizes he now loves Chitoge and professes his love to her. The manga ends with the series' characters preparing for Raku and Chitoge's wedding. Believing that the high school euphoria is nothing but a fake, Hachiman Hikigaya is a apathetic and narcissistic individual. He was punished to join the Volunteer's Club in an effort to change his mind set. There he meets Yukinon Yukino, a snarky and sharp-tongues girl. Along the way, they helped resolved the issues of different people. It is through this journey that his teacher hope that he is able to mend his ways and see the world in a brighter light. Yahari is the anime that is akin to our own high school life in the real world. As pessimistic as it may sound, some of his thoughts, although rotten, are actually present in the world despite being the cold, hard truth. Yahari takes the high school genre to a whole new level, it talks about the high school situation and the students as well. Like every good high school genre, there are hints of developing romance as well and you can't help but cheer him on. 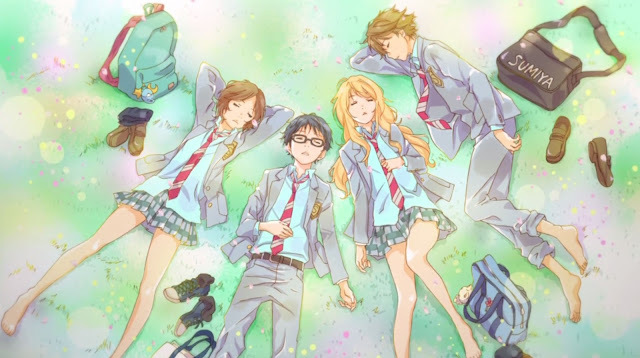 If you truly enjoy the high school genre, why not take a detour and check this anime out? You may even make this your new top anime as it has that potential, it's just that good!